Polk County Insulation > Home Insulation Blog > When is Insulation Removal Necessary? It is a much debated question in the insulation and home improvement industry as to whether you should have insulation removal done before putting in new insulation or if it is okay to leave the old insulation in place. The reason for the debate is that there are so many factors to consider, so there isn’t a one-answer-fits-all scenario. Factors such as the age of your home, the type of insulation currently in the home, the condition of that insulation and the age of the insulation all enter into the equation. The age of your home and the age of the insulation affect the decision regarding insulation removal. More importantly, these numbers determine the hazard factor in dealing with the insulation removal. If your home was built before asbestos was banned, it is very important that insulation removal be done extremely cautiously. You should never attempt to do this yourself, as a professional has the equipment to handle it without putting themselves or your family in danger. They also have the means to dispose of it properly. The condition of the current insulation is another factor when considering insulation removal. 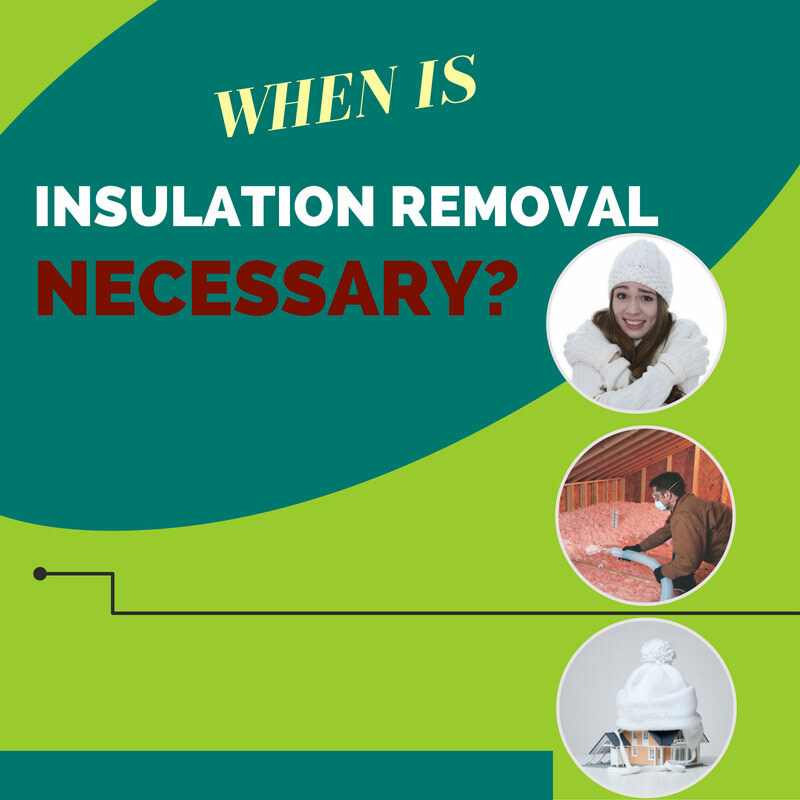 Some conditions such as moisture and rodent infestations will necessitate insulation removal. Putting new insulation on top of insulation that is wet will only make matters worse. Another consideration is the type of insulation and how much weight is involved. If it is an old type of insulation that is heavy, adding more insulation to it without performing insulation removal could be more weight than your ceilings or even your joists can bear, which can lead to a collapse. If you have questions about insulation removal for your Winter Haven or Lakeland, FL home, give us a call at Polk County Insulation. We will give you an honest answer as to whether you should have insulation removal done or not, as well as give you a fair estimate if it is recommended.